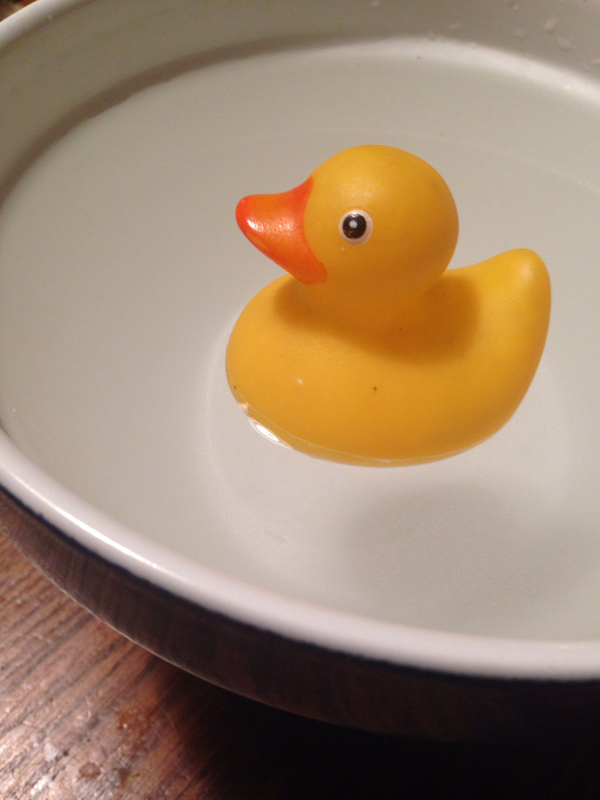 From my kitchen this evening, photographed specifically for the weekly photo challenge: afloat. I was reminded of the old science experiment- will it sink or will it float? I chose two I knew would float. Reminds me of Marti’s first grade science experiment. What stays afloat and what sinks. She didn’t win. It wasn’t sophisticated enough. Her parents weren’t doctors or scientists. And we made her write it up on chart paper, it wasn’t typed. Oh well I was proud it was done by a first grader. Love the duck. Not just in a heartstrings way. As a composition.. From the table top to the eye it just comes together. Might get scary as 40 by 60, maybe a smaller print. 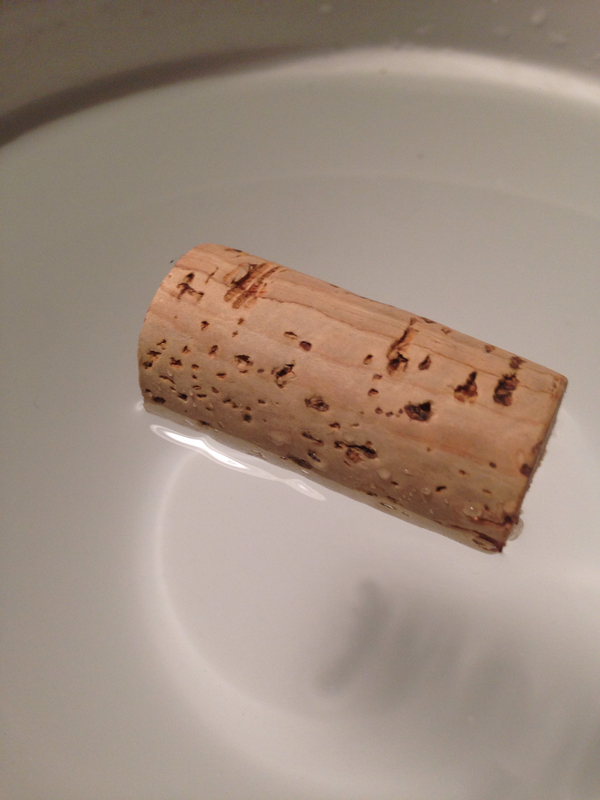 The cork is, let us say, crisp. Bravo! Creative . Dramatic. Fun. Simple elegance. Thanks for sharing. A terrific first-grade experiment. Good memories.